In a world with so many competing voices, our Heavenly Father has made it possible for us to hear and follow His. Earlier this morning, my wife’s brother gave her a note that she had written to her mother many years ago. At the time, Sister Homer was just a little girl. 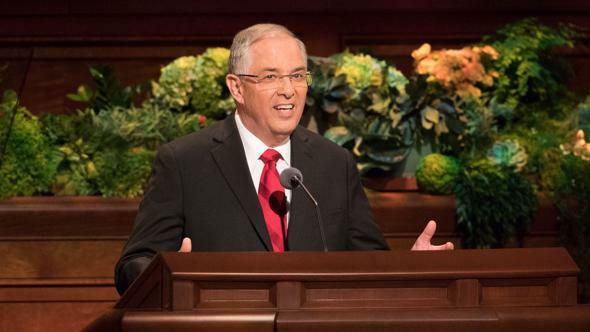 In part, her note read, “Dear Mother, I am sorry I did not bear my testimony today—but I love you.” As we went to lunch, I thought that was an interesting thing. 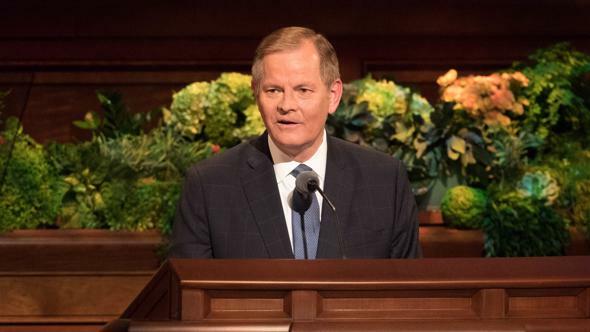 So I sat down, and I wrote a note that said, “Dear President Nelson, I am sorry I did not give my talk today—but I love you.” Somehow that did not feel right. So here we are, and I am happy to add my words to those that have been spoken in this session today. Our plane rapidly moved to the left and down, then climbed back to an appropriate altitude, reentered the landing pattern, and arrived safely at our destination. We later learned that another aircraft had been cleared for takeoff. Had we followed the instructions of the alarm, we would have veered into, rather than away from, the oncoming plane. This experience taught me two important lessons: First, at critical moments in our lives, we will hear multiple voices competing for our attention. And second, it is vital that we listen to the right ones. We live in a world with many voices seeking our attention. With all the breaking news, tweets, blogs, podcasts, and compelling advice from Alexa, Siri, and others, we can find it difficult to know which voices to trust. Sometimes we crowdsource guidance in our lives, thinking the majority will provide the best source of truth. Other times we “halt … between two opinions,”1 choosing to be “neither cold nor hot.”2 Still other times we follow what is convenient, focus on a single voice or issue to guide us, or rely exclusively upon our own ability to think. While each of these approaches can be helpful, experience teaches that they are not always reliable. What is popular is not always what is best. Halting between two opinions brings no direction. Convenience rarely leads to things that matter. Fixation on a single voice or issue can impair our ability to see. And relying solely upon our own thinking can lead us into a hyperintellectual stupor of thought. If we are not careful, the wrong voices can draw us away from the gospel center to places where faith is difficult to sustain, and we find little more than emptiness, bitterness, and dissatisfaction. Let me demonstrate what I mean by using an analogy and a scriptural example. Mountain climbers commonly refer to altitudes above 8,000 meters as the “death zone” because at those heights there is not enough oxygen to sustain life. There is a spiritual equivalent to the death zone. If we spend too much time in faithless places, seemingly well-intended voices deprive us of the spiritual oxygen we need. We will find our Father’s voice in many places. 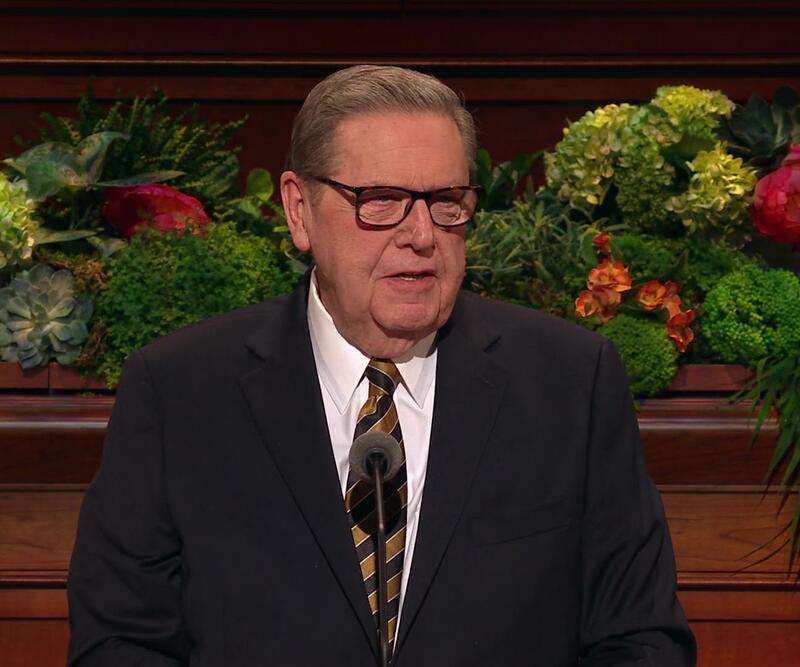 We will find it when we pray, study the scriptures, attend church, engage in faithful discussions, or go to the temple. Surely, we will find it in conference this very weekend. Early in my professional life, Sister Homer and I were asked to accept a change in job assignment. At the time, it seemed to us a huge decision. We studied, we fasted, and we prayed, but an answer was slow to come. Eventually, we made a decision and pressed forward. As we did, we felt settled and soon learned that it was one of the best decisions we had ever made. And so, we need to decide which among all the different voices we will obey. 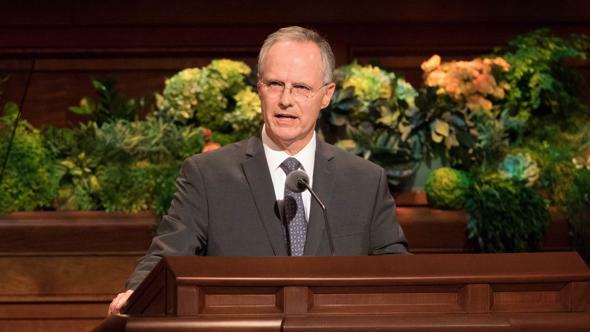 Will we follow the unreliable voices advocated by the world, or will we do the work required to allow our Father’s voice to guide us in our decisions and protect us from danger? The more diligently we seek His voice, the easier it becomes to hear. It is not that His voice gets louder but that our ability to hear it has increased. 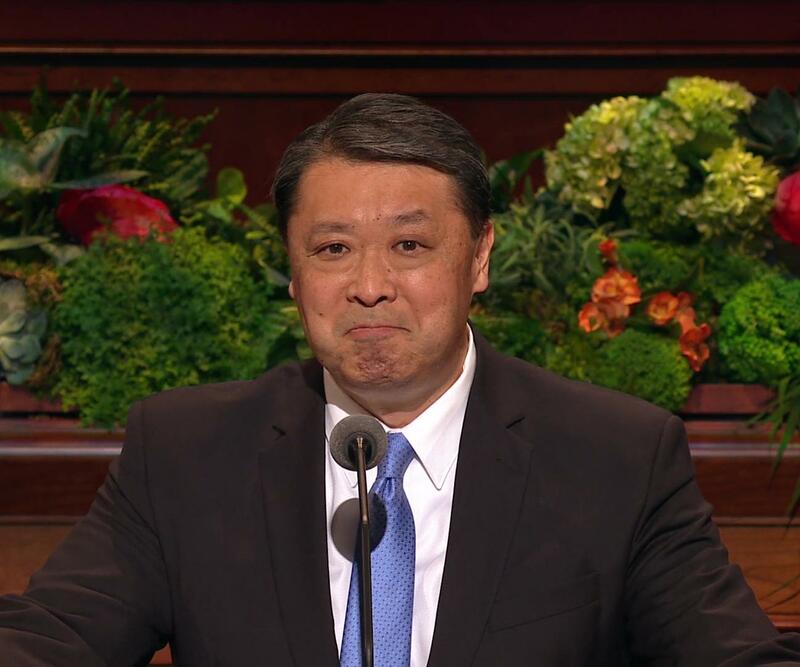 The Savior has promised that if we “hearken unto [His] precepts, and lend an ear unto [His] counsel,” He “will give [us] more.”23 I testify that this promise is true—for each of us. Nearly a year ago, we lost my older brother in a tragic automobile accident. John’s early years were full of promise and accomplishment. But as he grew older, a broken body and uncooperative mind made life very difficult. While the healing he hoped for didn’t come in this life, John nonetheless held to his faith, determined to endure, as best he could, to the end. Now, I know that John was not perfect, but I have wondered what it was that gave him such endurance. Many voices invited him into the cynical fringe, but he chose not to go. Instead, he did his best to anchor his life at the gospel center. He lived his life there because he knew he would find the voice of his Master there; he lived his life there because he knew it was there that he would be taught. 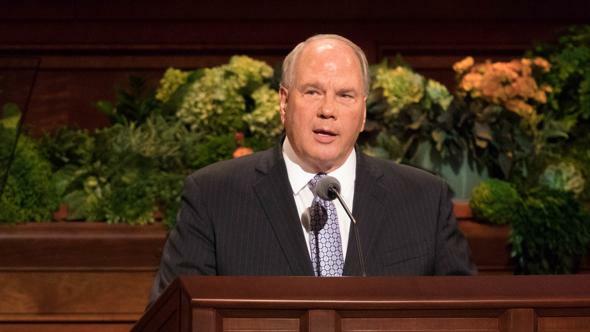 Brothers and sisters, in a world with so many competing voices, I testify that our Heavenly Father has made it possible for us to hear and follow His. If we are diligent, He and His Son will give us the direction we seek, the strength we need, and the happiness we all desire. In the name of Jesus Christ, amen. Alma 30:53; see also Alma 30:18. See Alma 30:14, 23–24, 27. See Alma 30:17, 23, 27. Alma 30:16; see also Alma 30:13, 15, 26, 28. Alma 30:31, 52; see also Alma 30:23, 28, 43, 50, 53. 2 Nephi 32:5; see also 2 Nephi 32:1–4. 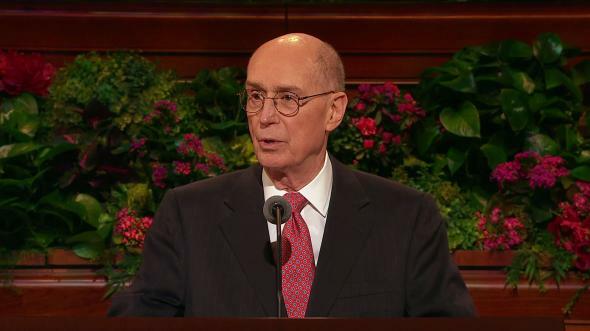 See Doctrine and Covenants 6:14–15; 11:13. See Doctrine and Covenants 6:22–23. See Doctrine and Covenants 1:38. 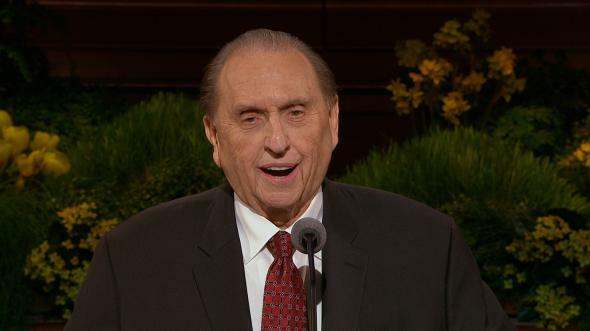 Thomas S. Monson, “The Spirit Giveth Life,” Ensign or Liahona, June 1997, 4. 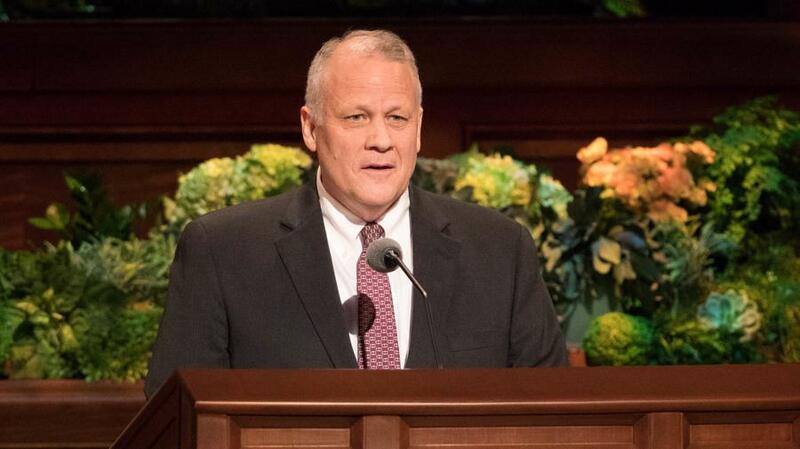 Richard G. Scott, “Using the Supernal Gift of Prayer,” Ensign or Liahona, May 2007, 10.